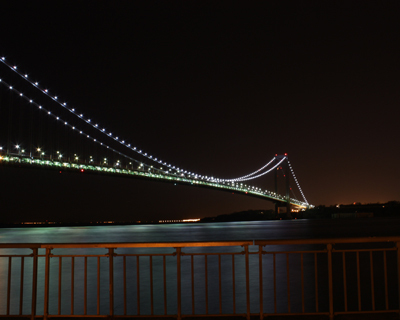 Staten Island is one of New York City’s five boroughs. Though it is the least populated, with approximately 469,000 residents according to the 2010 census, it is the third largest in area at 59 square miles. Formerly known as the borough of Richmond, Staten Island was renamed in 1975. Staten Island used to be home to the world’s largest landfill, called Fresh Kills, which was closed in 2001, though it was temporarily reopened following the World Trade Center attacks. The former landfill is currently being transformed into New York City’s largest park. Staten Island is home to a number of historic areas, including St. George and St. Paul’s Avenue-Stapleton Heights. These North Shore areas feature unique victorian architecture. Staten Island, under the name of Richmond, was consolidated with the City of New York in 1898. The New York Bay separates Staten Island from Manhattan, and the Arthur Kill and Kill Van Kull form the border between the Island and New Jersey. As with much of the New York area, Staten Island was originally populated by Native Americans. A handful of today’s heavily trafficked avenues on the island, including Richmond and Amboy roads, were once Native American footpaths. Giovanni de Verrazzano, an Italian explorer, recorded the first known European contact with the island in 1520. In 1609, Dutch explorer Henry Hudson named the island Staaten Eylandt, or States Island, in honor of the Dutch parliament, though the island remained uncolonized until 1661. Staten Island was occupied by a British encampment during the Revolutionary War, and the Battle of Staten Island, fought between British troops and the 2nd Canadian Regiment, which joined American forces, resulted in both sides surrendering dozens of prisoners. The American forces ultimately withdrew. The Staten Island Ferry has a long history of shepherding goods and people between Staten Island and Manhattan. In 1817 the Richmond Turnpike Company began running the first motorized ferry between New York and Staten Island. Today, the system carries over 19 million passengers in about 33,000 trips annually. In recent decades, residents of Staten Island have voted in favor of seceding from the city, but referendums have been blocked by the New York State Assembly. Recently, Staten Island suffered extensive devastation during Superstorm Sandy. The area experienced historic flooding, structural damages and the majority of deaths in New York. The area will be undergoing large-scale reconstruction for an undetermined period of time. New York City - Get information about New York City. The Bronx - Get information about the Bronx, NY. Brooklyn - Get information about Brooklyn, NY. Queens - Get information about Queens, NY. Long Island, New York - Get information about Long Island, NY.